Beautiful home situated on a .81 acre lot in the rarely available neighborhood of Summit Pond. As you approach the house you will see the welcoming wrap-a-round front porch, perfect for a charming bench or rocking chairs. As you enter the home, the formal living room is off to the right and has a large bay window offering tons of natural sunlight. The dining room features chair rail molding and leads to the kitchen. The owners previously renovated the breakfast nook to create a more open floor plan from the kitchen area to the family room. The family room includes a gas fireplace flanked by built-in cabinets! Off of the family room, a door leads to the enclosed sunroom where you can enjoy a morning cup of coffee. Here you can enjoy the views of the private back yard with access to the pond. A powder room finishes off the main level of the house. On the upper level, you will find 3 generous sized bedrooms and a hallway full bathroom. The master bedroom features a master bath recently updated to include new flooring and vanity with granite top. On this level you will also find a large floored attic space, which allows for plenty of storage or could possibly be converted into a 5th bedroom. The finished basement features a large recreational area, additional storage and an exercise room. The attached 2 car garage and shed allow for more storage options. 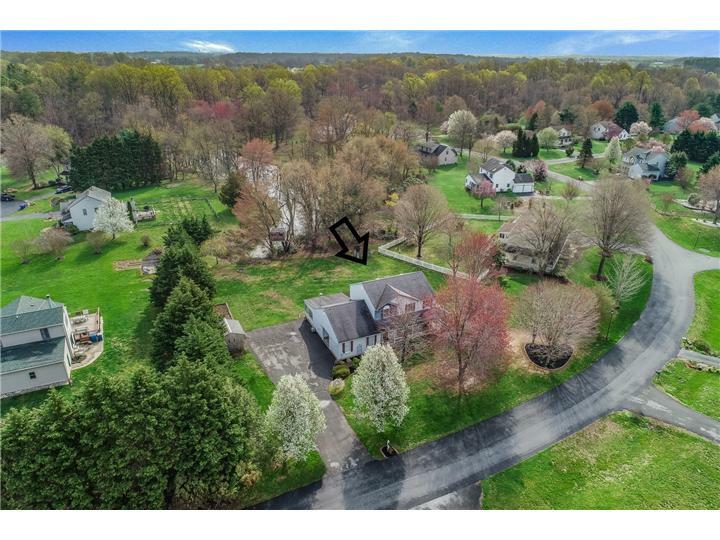 Don’t miss out on this fantastic opportunity to view this home in the award winning Appoquinimink school district before it is gone…schedule a showing today!